Fund our service trip to Nicaragua this Spring! Global Brigades is an international non-profit organization that sends groups of passionate volunteers, or brigades, that mobilize positive social change in Nicaragua, Panama, Ghana, and Honduras. Global Brigades works towards sustainable development in under-resourced communities using a holistic model that addresses multiple aspects of community healthcare and economic development. 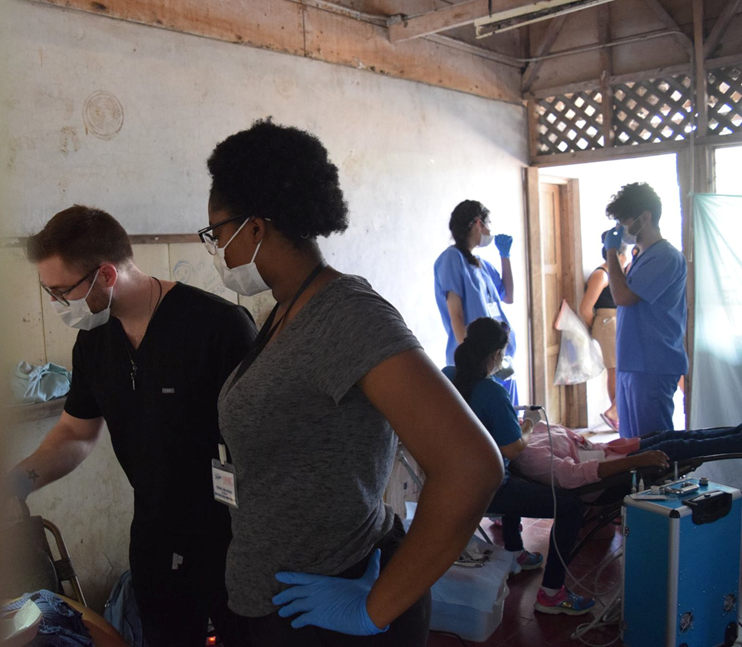 This Spring Break, the UMBC chapter of Global Brigades will be traveling to Nicaragua to work on Business, Dental, Environmental, Medical, Public Health, and Water brigades. But we need your help to get there! Global Brigades is almost entirely funded through our volunteers’ networks. Students participate in week-long brigades to assist in implementing our programs alongside full-time local staff. In addition to airfare, volunteers fundraise their Program Contribution, which funds the project, in-country transportation, lodging, and food. Program contributions cost $690.00 - $990.00 per volunteer. This year we are asking for your help to raise $3,500.00 for our six UMBC brigade programs. For our 100 brigaders, we need stethoscopes, blood pressure cuffs, work gloves, and other resources. We also need to get to the airport for our trip! Follow us on Facebook or Instagram to learn more! Help us complete our projects in Nicaragua and provide UMBC students the opportunity to do service abroad! Although a donation would be appreciated, we understand if you cannot donate at this time. We would appreciate your help in spreading the word! Please share this project with anyone you think would support us – on Twitter, Facebook, LinkedIn, by email, telephone, or in conversation. We know that we said that you do not have to give money to help us succeed, but we would love it if you did! Please donate to make our project successful!